White House officials report that the influx of Unaccompanied Alien Children (UAC) arrests at the border resulted in a backlog of more than 76,000 hearings in immigration courts. Officials say this is up from only 4,000 backlogged cases in Fiscal Year 2010. The increase in backlogged immigration hearings comes not only from minors apprehended at the border but from a 636 percent increase during the past year in UACs presenting themselves at the nation’s ports of entry, National Review reported. These numbers are compounded by the 315 percent increase (October 2017 – February 2018) in illegal immigrants attempting to use children so they can pose as family units to gain entry to the U.S., White House officials told the news outlet. The White House blames Democrats in Congress for failing to address border security and immigration reform. 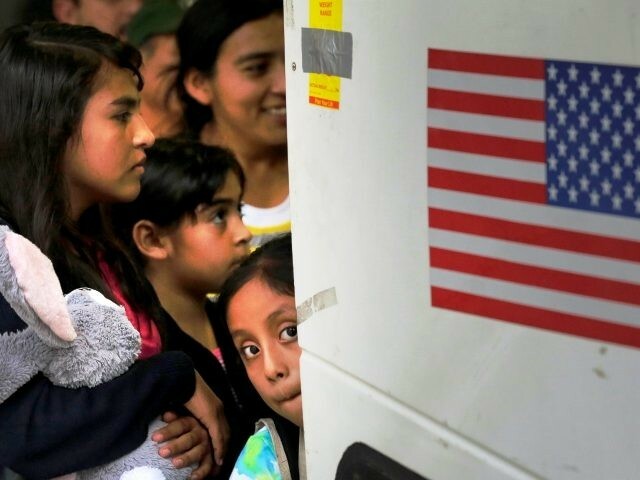 “Democrat policies preserving catastrophic asylum loopholes have led to a 600,000 caseload backlog that swamps out legitimate asylum seekers while overwhelming the entire U.S. immigration system and perpetuating a hemispheric migration crisis at enormous cost to U.S. taxpayers and American lives,” officials stated. Read the rest from Bob Price HERE.